Luxurious waterfront home with big views & big water. This home lives like a 5 bedroom, each with a full bathroom. 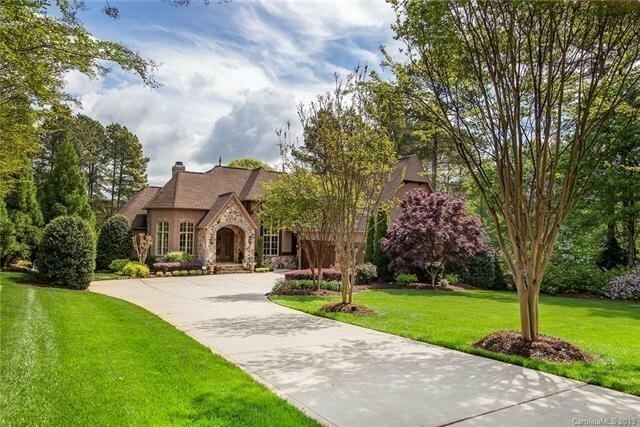 Elegance abounds as you enter double doors into a sophisticated, open floor plan, 2-story formal dining, 2 story great room with coffered ceiling, travertine flooring throughout main level. A second kitchen, true wine cellar, elegant theater, billiard area, family room and 2nd fireplace make entertaining a pleasure! The fixed, covered dock has entertaining space, a natural beach area, open patio, screened porch with built-in grill & cooking burners, covered patio, and stone surround hot tub. Access a addt'l full bath from the downstairs patio when enjoying those days on the lake! View the walkthrough video tour and see the extensive feature list.